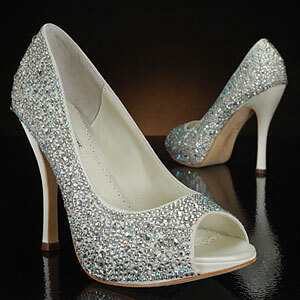 "What you should be looking for when shopping for your wedding day shoes?".. 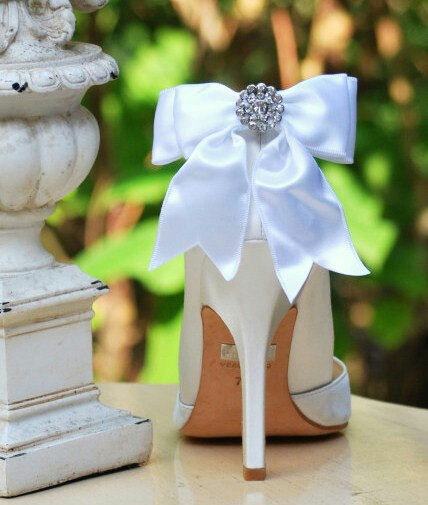 Should a bride be concerned what her bridal shoes look like if no one can really see them under her wedding dress? The answer to that is a big...YES!!! 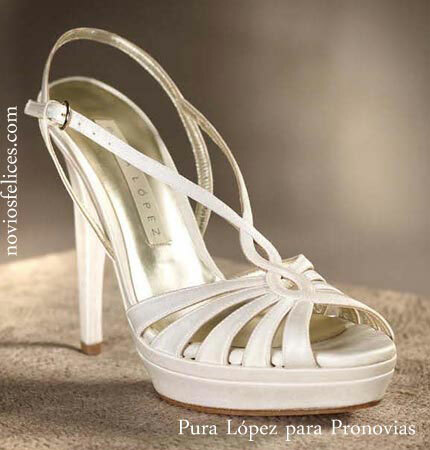 Bridal shoes have always been an important component in the bride's wedding day attire but in 2012, the bridal shoes make a real statement. 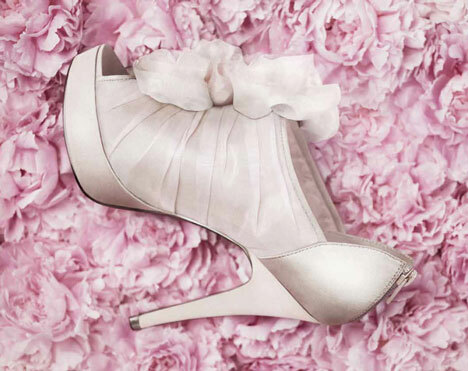 What you should be looking for when shopping for your wedding day shoes? The economy is on everyone's mind; so, choose your shoes wisely and make sure you can wear them long after the wedding is over. A versatile wedding shoe is very trendy this year. Sparkle all the way down the aisle! Rhinestones, crystals and shimmery metallics like silver and gold are the way to go. Something borrowed perhaps? 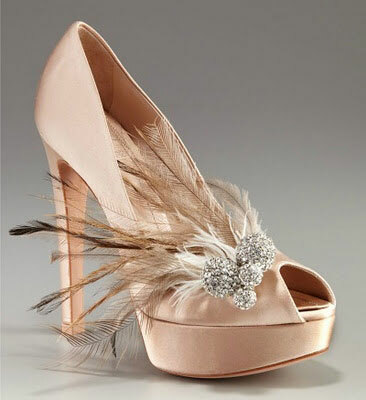 Adding a brooch or floral accent to your shoes is another stunning wedding shoe trend for this year. Adding brooches from your personal collection will make the trend more custom. Go bold baby! Animal prints, lots of accessories and bright colours are leaving traditional white shoes far, far behind. The sky's the limit! Yup..high heels, super high heels are really in but if you can't balance on stilettos, platforms are a great option and are probably much more comfortable! If you just can't do heels, a ballerina flat (Dessy has the greatest collection) or kitten heel shoe will always do the trick. Dress it up with a cool accent to make it more 2012.. Yes, This year, brides have lots of style options when it comes to picking the perfect pair of shoes for their wedding day. Lots of colour and bejeweled accessories make this part of the wedding day shopping lots and lots of fun. Remember, when in doubt, just make sure it sparkles...you definitely won't go wrong!! !